Cover Photo for After the Scythe. 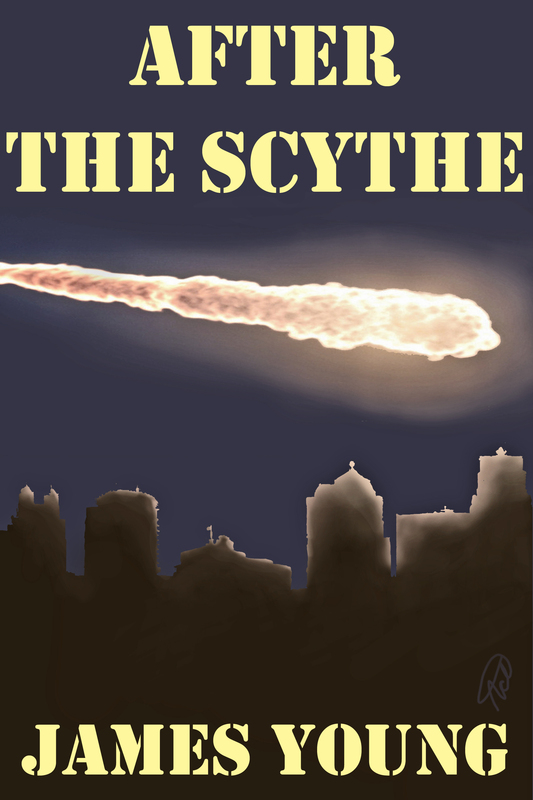 I am happy to announce the release of my post-apocalyptic short story “After the Scythe.” It is now available on Amazon at http://www.amazon.com/dp/B00KKY2V4E . So I’m trying my hand at merchandising. I figure if worse comes to worst, there’s no harm, no foul in having a place where people can buy T-shirts. If you’re so inclined–http://www.redbubble.com/people/youngblai/shop will take you to the right place.